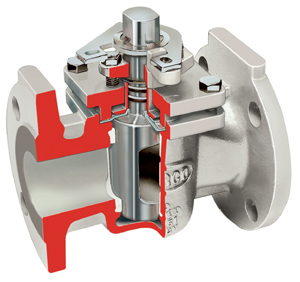 Flowserve invented the non-lubricated Sleeveline Plug Valve for the most corrosive and difficult chemical services where drop-tight shutoff is an absolute requirement. Nearly 60 years later, there are many imitators but no substitute for the quality, reliability, versatility and value you receive with Sleeveline valves. Durco valves offer the process industries the widest range of non-lubricated plug valve models, materials, and configurations. This provides customers the flexibility to specify Sleeveline valves to meet virtually all of their applications needs. Flowserve has the answer to your corrosion-resistant, quarter-turn valve needs, whether for on-off or modulating control.